Preet Bharara’s Former Deputy on His Old Boss’s Firing and Michael Cohen CaseFormer acting U.S. attorney Joon Kim discusses leading the Southern District of New York under the Trump administration. 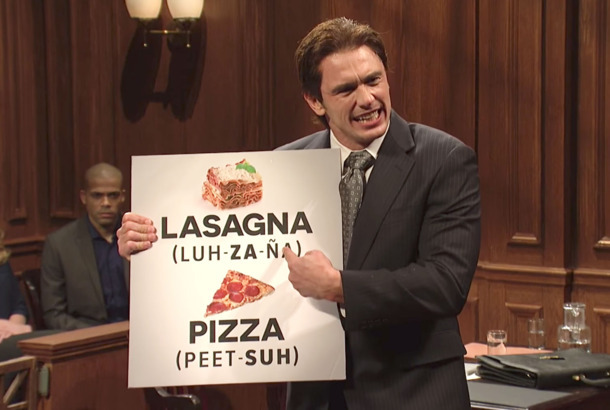 That SNL Pizza Sketch Was Funny As HellLate Saturday night, Preet Bharara and I were doing the same thing: tweeting about Saturday Night Live. Preet Bharara Is Now in the Trump-Opposition BusinessThe prosecutor and his entrepreneur brother are trying to build a media empire for the resistance era. First step: a podcast. Has Trump Decided Who’s Going to Take Preet Bharara’s Old Job?A report suggests the White House wants to tap Rudy Giuliani’s colleague at a white-shoe firm. 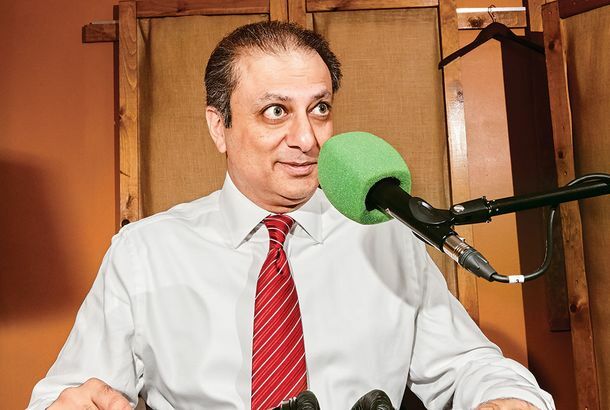 Preet Bharara Will Discuss Issues of ‘Justice and Fairness’ on New WNYC PodcastHe’s just the latest in a growing trend of liberal-leaning politicians and political operatives taking up podcasting. Preet Bharara Has the Supreme Court to Thank for Letting Sheldon Silver Go FreeJohn Roberts set a very favorable precedent for the former State Assembly speaker, who was sent to jail for public corruption. Preet Bharara Says He Too Was Made ‘Uncomfortable’ by Trump’s Contact AttemptsJames Comey wasn’t the only one receiving unwanted phone calls from the president. Preet Bharara Isn’t Running for AnythingIn his first public appearance since being fired, he mocked Trump and disappointed those who wanted him to seek higher office. Preet Bharara Already Has a New GigHe will join New York University School of Law as a distinguished scholar in residence. 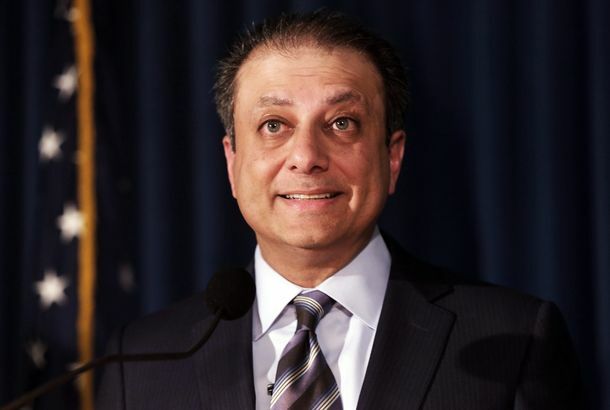 New York AG Hires Bharara Corruption Prosecutor to Examine Trump AdministrationHoward Master helped prosecute Sheldon Silver, and he’ll now be keeping an eye on the White House, says The Wall Street Journal. Preet Bharara’s Ouster Could Be Very Bad News for Mayor de BlasioAnd even for Governor Andrew Cuomo, who might get the race of his life in next year’s reelection bid. White House Claims That Pre-Firing Call to Preet Bharara Was Totally FriendlyAmid speculation that the prosecutor was forced out over his investigations. Preet Bharara Fired After Refusing Trump Administration’s Order to ResignPresident Trump had personally asked the high-profile prosecutor to stay on in November. The DOJ Just Called for the Firing of 46 Obama-Appointed U.S. State’s AttorneysThen-president-elect Donald Trump had asked the U.S. Attorney for the Southern District of New York to stay on in November. The 2017 Mayoral Race Is Shaping Up to Be Wildly Exciting — or Extremely BoringMayor Bill de Blasio doesn’t have any real election challengers now. But everything hinges on the outcomes of those federal and state investigations. 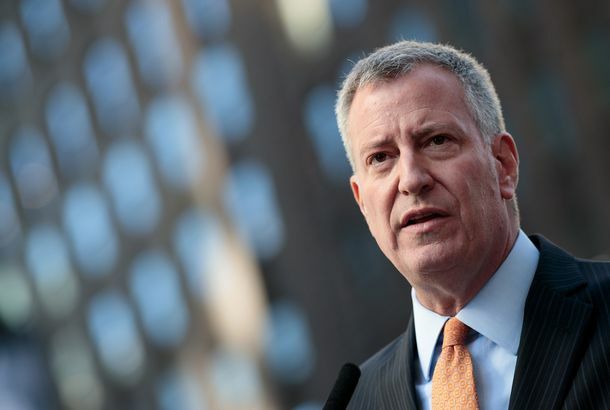 Mayor de Blasio Will Reportedly Get Home-Field Advantage in Interview With FedsFeds have been probing the mayor’s fundraising activities related to his campaign and now-closed nonprofit. Sheldon Silver Hoping to Serve His Time in a Cushy PrisonHe was sentenced to 12 years in prison Tuesday. Preet Bharara Wants State Legislators to Be More Excited About Fixing AlbanyHe also wants everyone to know that he thinks New York lawmakers are big whiners. The Biggest Names on Preet Bharara’s Trophy WallSheldon Silver was one of the U.S. attorney’s most high-profile targets, and he may not be his last. Changes Could Be Coming to Rikers IslandOfficials are close to finishing a deal that would bring many reforms to the prison. Sheldon Silver’s Arrest Is Huge, But Preet Bharara Is Waging an Even Bigger CaseHe seems to be headed toward a confrontation with the governor. 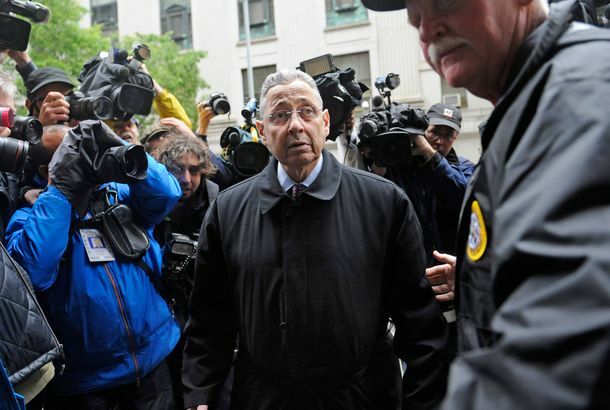 Why New York Assembly Speaker Sheldon Silver Has Been ArrestedThe legislature’s most powerful Democrat is the target of a federal investigation into Albany corruption. Andrew Cuomo’s Ugly VictoryThe past three months have generated a lowlight reel for the governor that won’t go away as quickly as he’d like. The Heat Is on for Cuomo — But Also for BhararaThe governor is enduring political embarrassment at a bad time. But the US Attorney has set up some high expectations. Andrew Cuomo Got a Sternly Worded Warning From U.S. Attorney Preet BhararaThe Moreland Commission mess is escalating. 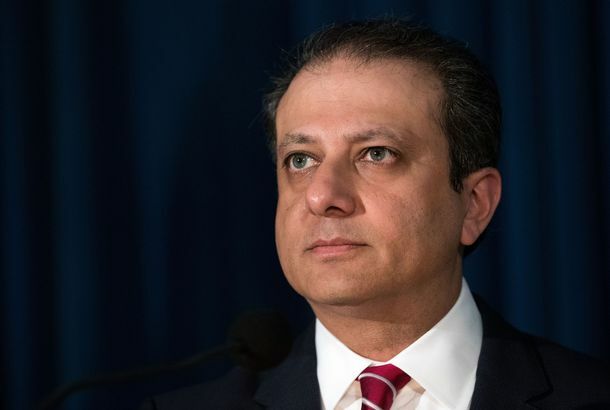 Manhattan U.S. Attorney Preet Bharara Lost His First Insider-Trading CaseBig fish Raj Rajaratnam’s brother gets off. Bharara Looking Into Closing of Corruption PanelJust making sure that nothing corrupt happened there, either. U.S. Attorney Wants to Seize Corrupt Politicians’ PensionsIt might actually work this time. The Softer Side of Steve Cohen’s Life of LeisureHe finds the Dutch Masters dark and ugly.